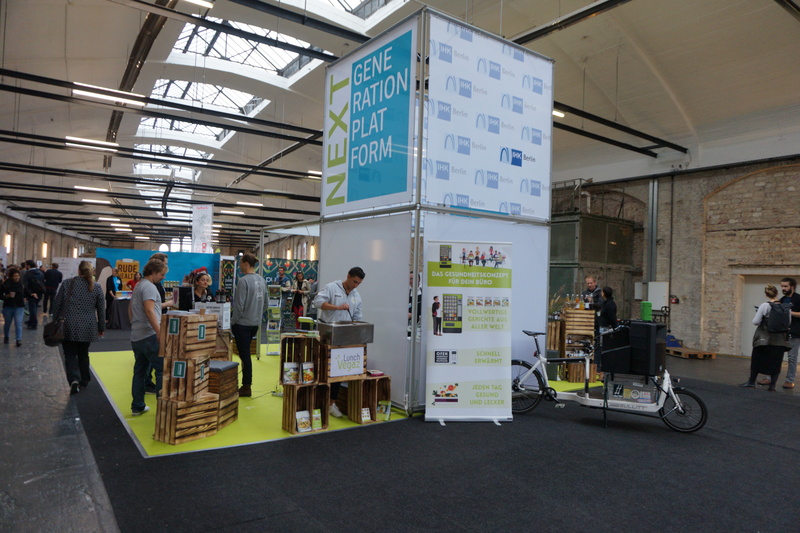 Over the last few years, organisers FuturEins have adapted the concept of their trade fair. 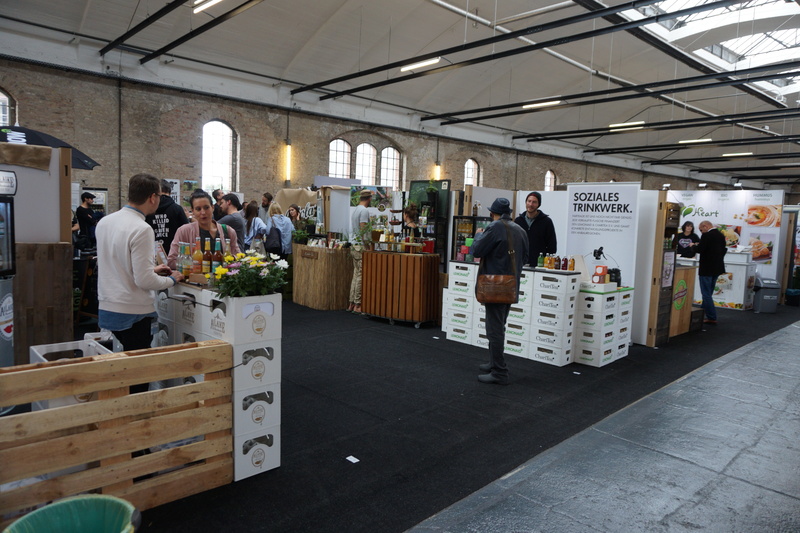 The majority of exhibitors at Next Organic used to come from the food and beverage sectors; with a focus on local, artisan and niche gourmet brands. Now the emphasis has shifted more towards sustainable food and retail projects – fewer actual food brands, more start-ups and innovations. This change in strategy can be traced back to the success of the Next Organic Startup Awards. In 2014, Next Organic launched a competition for organic and sustainable food and retail newcomer brands. These Awards have now become a key industry event in Germany and it really is a unique competition: start-up companies from Germany, Austria and Switzerland can submit their organic/sustainable product innovations or brand concepts. The winners receive marketing and financial advice/support for their idea, sample listings of their product or brand in leading organic supermarket chains and a free booth at the Next Organic trade show. In 2017, there were seven Awards categories: Manufacturers, Producers/Agricultural Projects, Services, Artisans, Social Enterprise, Food Waste and Public Favourite (Facebook vote). And this year’s winners included an artisan soup concentrate manufacturer, a company pioneering a sustainable poultry farming concept, a beans-to-bar chocolate producer, a rescued fruit jam manufacturer and a company that came up with an ingenious reusable to-go cup concept. 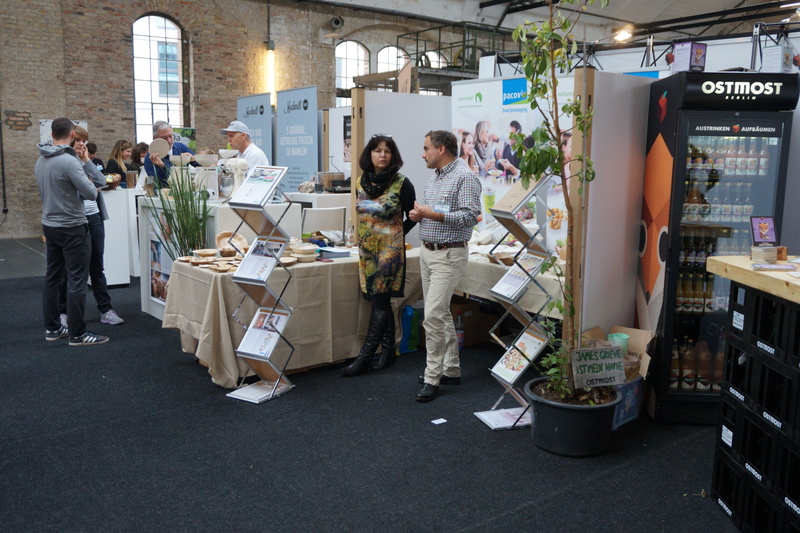 In 2017 the organisers renamed their show to reflect the trade fair’s new thematic focus: Next Organic Gastro is now positioned as a major industry platform for sustainable food brands and culinary concepts. 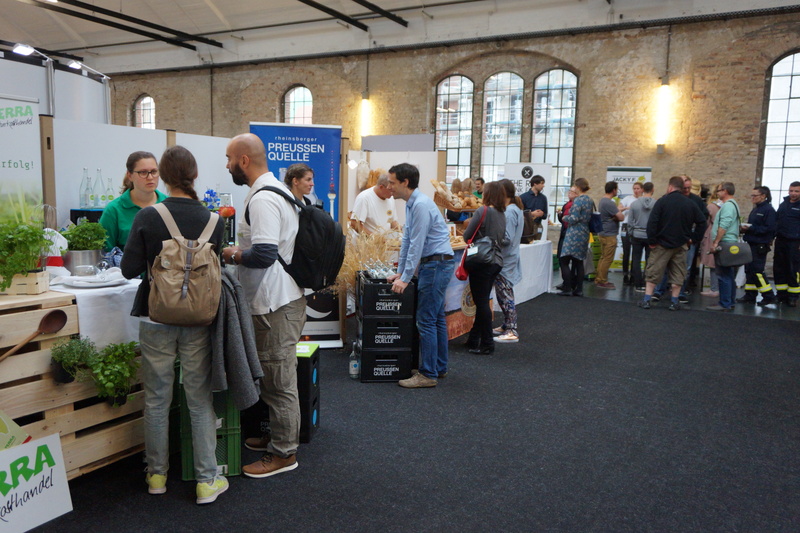 The main topics this year were Circular Economy, Zero Waste, Fermentation and Plant-Based Kitchen. And after this lengthy preamble, let’s dive straight in! Here are, in no particular order, some of my favourite exhibitors at the 2017 Next Organic Gastro Show. 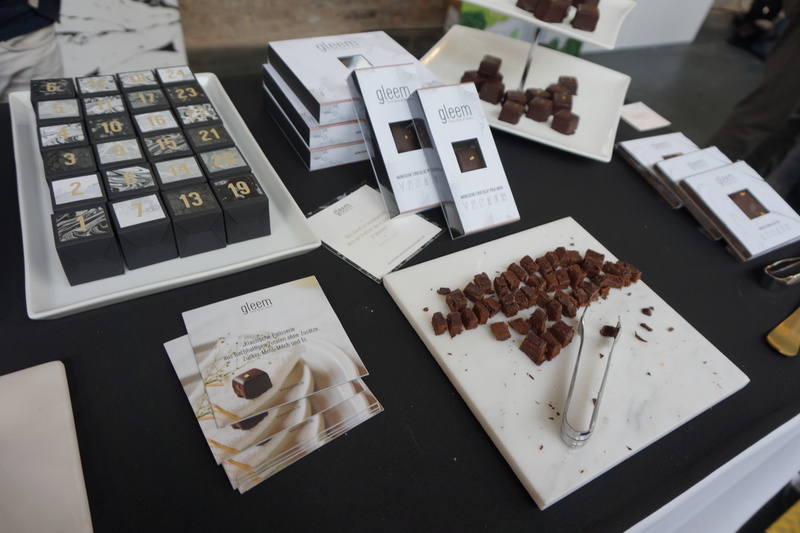 Gleem is a Hamburg-based artisan manufacturer of raw, vegan and paleo chocolates and cakes. The patisserie was founded in 2015 and all products are made in Hamburg. Gleem’s sweets are free of refined sugar, milk, gluten or eggs, and all products are vegan except for the honey chocolate. The line-up includes bar chocolates and praline chocolates as well as the so-called Rawnies (raw date-based brownie-type chocolates) which are made with fresh dates rather than dried dates, so the taste is delicious! 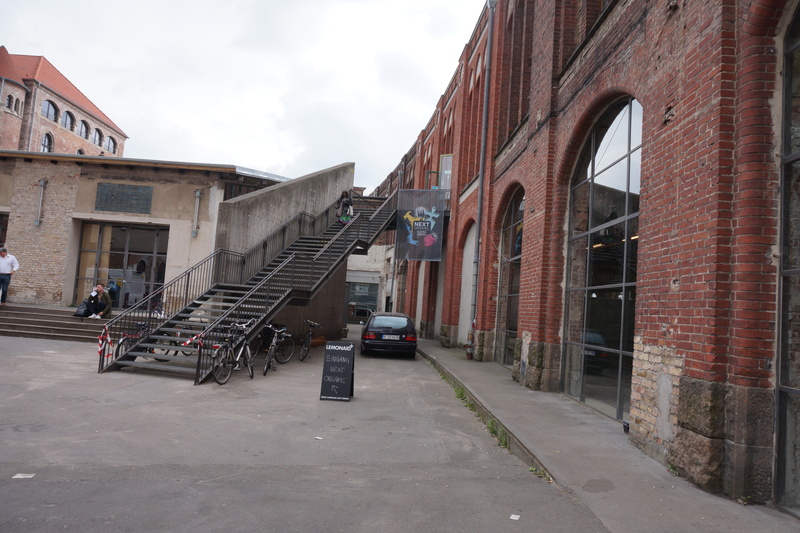 At the moment Gleem’s distribution is still primarily in Hamburg but the company is trying to expand their business; hence the presence at Next Organic Gastro. Good luck to them! I always like seeing Berliner Cantuccini at the Next Organic trade shows. The bakery was established in 2015 and they make THE most delicious cantuccini (cantuccinis are hard almond-based cookies – similar to biscotti – from the Tuscany region of Italy) in some truly unusual variants. There are the classic flavours and seasonal editions and the cantuccini portfolio is divided into sweet and savoury flavours. The sweet range includes mouth-watering variants like almond, chocolate-hazelnut, almond-pecan nut-vanilla, coconut-strawberry, pumpkin seed-green raisin, chocolate-chili or sesame-pistachio-date while the savoury range offers flavour combinations like sesame-cashew-black cumin, hemp-roquefort cheese-fig, sunflower seed-thyme-tomato or cashew-gruyère-pear. You can check out Berliner Cantuccini’s product range in their bakery store on Kollwitzstrasse in Berlin’s Prenzlauer Berg neighbourhood. 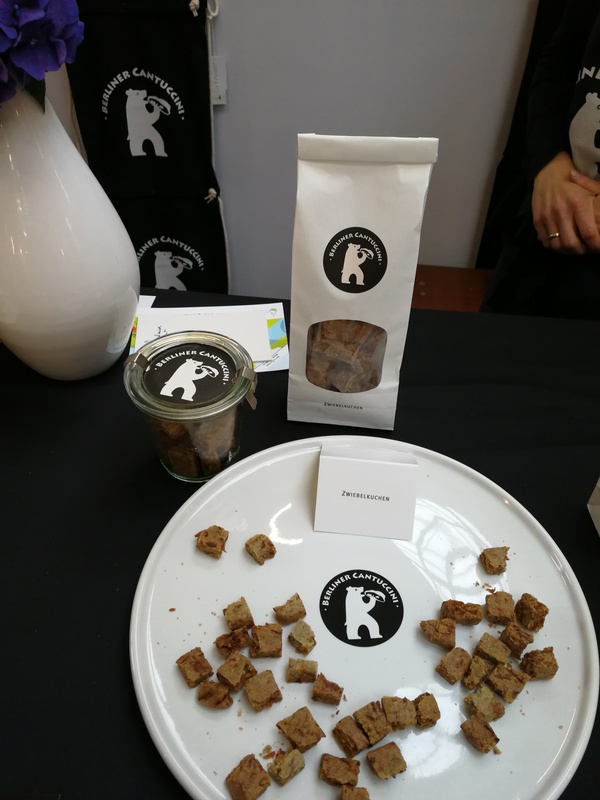 At Next Organic Gastro 2017, Berliner Cantuccini presented several of their new seasonal variants, including the brand-new Zwiebelkuchen (onion tart), see picture above. Zwiebelkuchen is a classic German autumn-time dish which is traditionally served with Federweisser (slightly fermented apple wine). Fermentation is such a big food trend at the moment – you can book fermentation workshops to learn how to make your own sauerkraut, kefir, sourdough leaven or kimchi, check out the info available online (there are plenty of forums and blogs that focus on different food fermentation methods and recipes), or buy your own fermentation starter set – from Fairment, for example, one of the exhibitors at Next Organic Gastro. 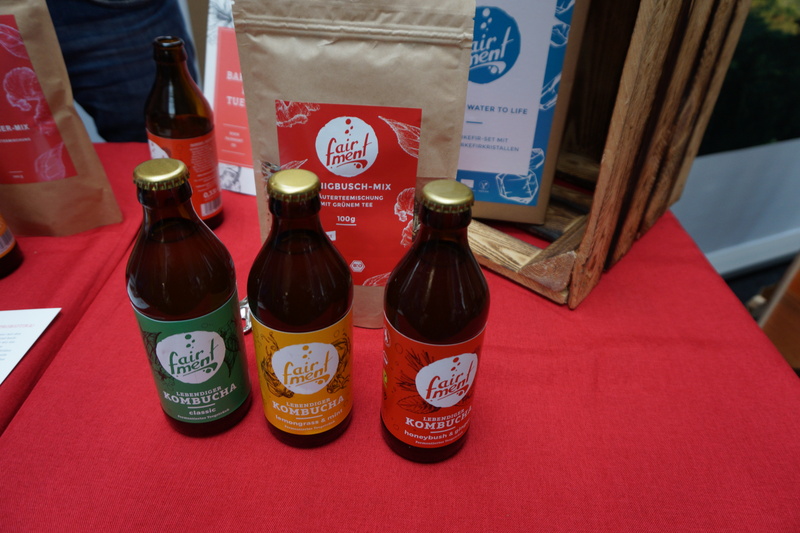 Fairment was launched in 2015; they specialise in ready-bottled fermented kombucha drinks (see picture above) but you can also purchase kombucha tea fermentation sets. These include a seriously big glass jar, the individually packaged ingredients (kombucha tea mushroom liquid, sugar, loose leaf tea) and detailed ingredients. At the moment company only offers kombucha and water kefir fermentation sets but soon there will be two new sets: milk kefir and ginger root. Kaffee Form is the brain child of designer Julian Lechner who decided to reycle – or rather, upcycle – used coffee grounds. Lechner combined the coffee grounds with other renewable raw ingredients to create a light and durable material with a slightly irregular surface. The first espresso cup was launched in 2015, followed by a cappuccino cup that hit the shelves earlier this year. The cups are surprisingly light and I like the unusual surface texture – I initially thought this was an unglazed ceramic or clay coffee cup! 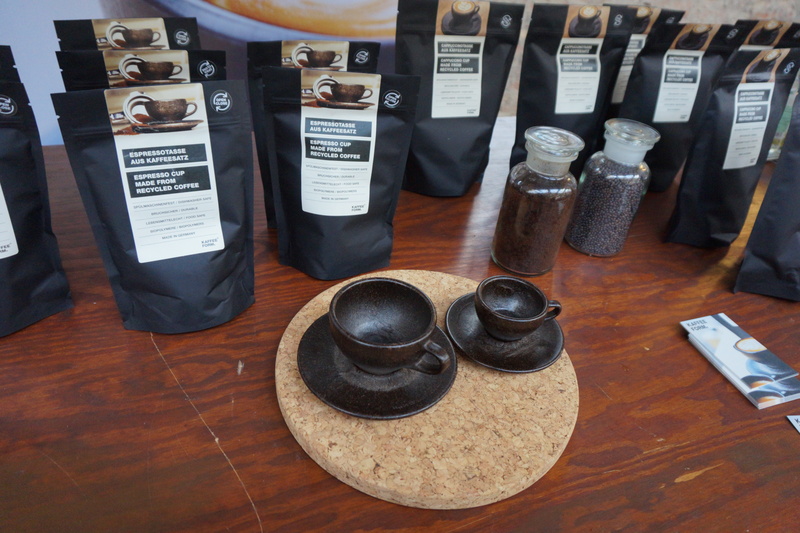 Anyhow, Lechner produces his cups with coffee grounds that are collected from various cafés and restaurants in Berlin; he cooperates with a workshop that employs disabled people so Kaffee Form also has a social aspect to its business. As you can see in the picture, the cups are packaged in paper coffee bags. Nice! Berlin-based start-up Halm is a very young company, they were launched in July 2017 – and they manufacture glass drinking straws (the German word for straw is “Halm”; drinking straw is “Trinkhalm”). The two founders were inspired by a trip to Thailand where the sheer amount of plastic waste that they saw on the beach and drifting on the ocean – including many plastic drinking straws – gave rise to the idea of producing a reusable glass drinking straw. The clear straws are produced from shatter-resistant and extra-hardened glass (Schott-Zwiesel, which is one of the biggest German professional glassware manufacturers) and are available in different lengths (for regular glasses and for bottles); there is even a bendy straw where the top part of the glass straw is angled! 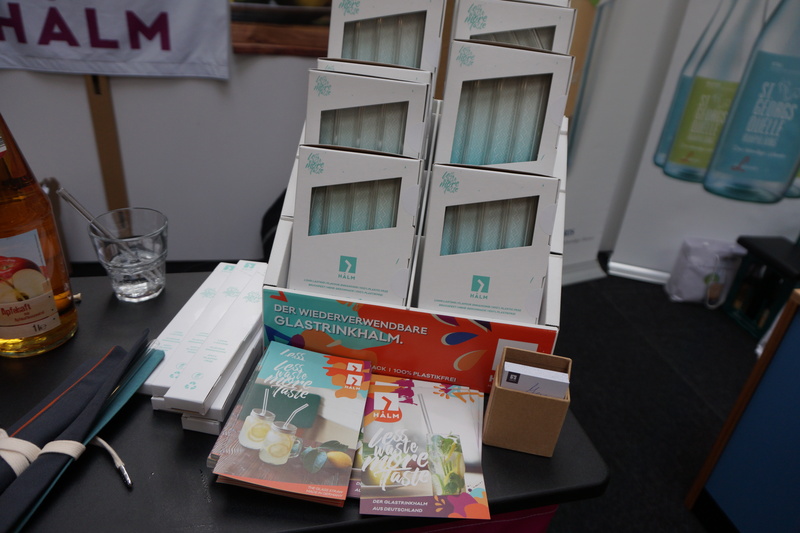 Halm’s key target group is the catering and restaurant sector but the glass straws can also be bought individually or as a set (which also includes a super thin pipe-cleanser type of cleansing brush) or you can just stick the straw into the dishwasher like you would with normal glassware. Initially the rounded edge of the glass straw feels strange (the plastic straws that I usually drink from (mea culpa!) are thinner and the sliced-off end of the straw is much sharper) but the taste of the beverage really seems to be cleaner? More pure. Also, the clear glass straw looks super stylish in the glass! You can also purchase a slim roll-up fabric cover so you can take your straw with you when you go to a restaurant or a bar. 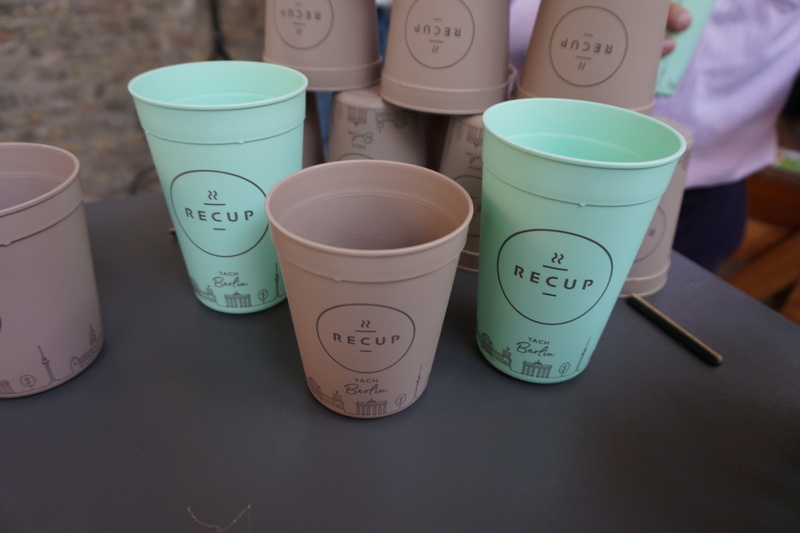 Recup was one of this year’s winners in the Next Organic Startup Competition and their idea really is brilliant: a reusable take-away beverage cup which is made from sustainable material. You buy your coffee, tea or whatever in one of these cups at participating cafés or retail chains (there is a 1 Euro deposit, no extra charge) and return it at another participating café or store to get your deposit back. Recup already has signed up a number of cafés and store chains across Germany; there is a smartphone app which tells you exactly where your closest café is. Cities can commission their own city design for the cups (which makes them nice and collectable; hello Starbucks City Mugs!) and the company already offers cup designs for Berlin and Munich – check it out on the pic above, Berlin is beige and Munich is pale green. Lunch Vegaz began as a catering company; the company supplies a wide range of organic vegan meals to various kindergartens, schools and canteens in the Berlin and Brandenburg area. In 2015, Lunch Vegaz launched a 9-sku range of pre-packaged convenience meals which retail at 4.95 Euro and can be microwaved or heated up on a stove. Variants include Ayurvedic Vegetable Stew with Basmati Rice, Chickpea Tajine with Couscous, Pasta à la Bolognese and Thai Curry; all dishes are vegan and organic. At Next Organic Gastro, the company presented its latest innovation: a convenience food vending machine for the pre-packaged dishes! A prototype of this machine will be installed in one of Berlin’s main train stations soon. I can’t wait to see it! 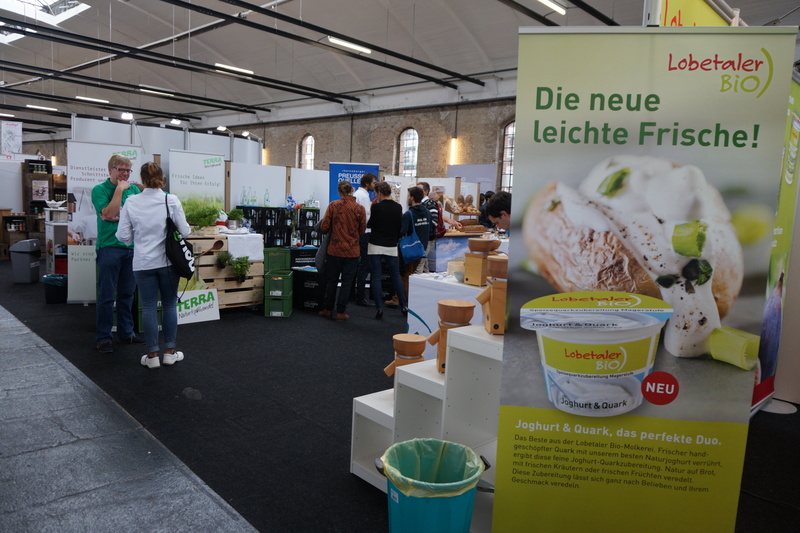 And Frau Ultrafrisch (see pic below) has a similar concept: the Hamburg/Berlin-based company was launched in July 2017 and they specialise in healthy convenience foods. Unlike Lunch Vegaz, Frau Ultrafrisch’s dishes are freeze-dried. 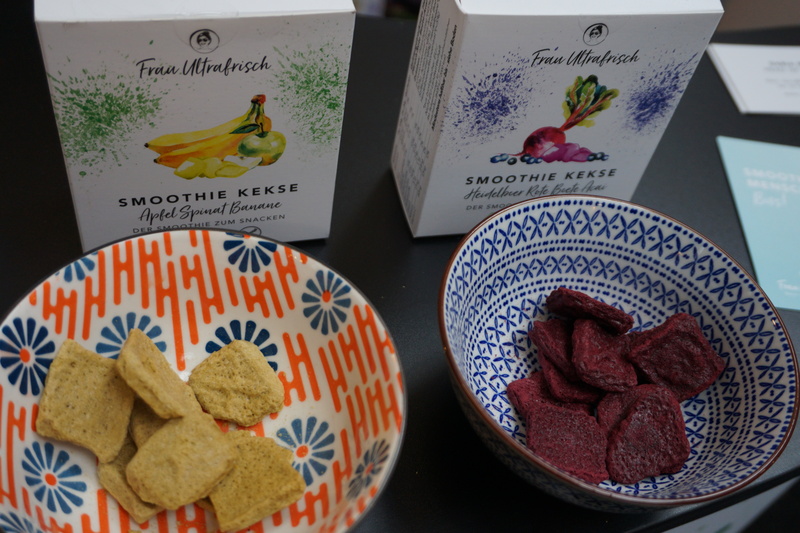 Everything is manufactured in Hamburg and the product range includes so-called Smoothie Cookies (freeze-dried fruit puree slices, see pic below) which are available in four flavours – Strawberry-Peach-Carrot, Apple-Banana-Spinach, Blueberry-Beetroot-Acai and Mango-Coconut. There are also three freeze-dried soup blends, a vegan chilli con carne and a vegan Bolognese sauce. These warm dishes come in convenient sachets: simply dump the contents into a bowl, add boiling water and it’s ready to eat in 2 minutes. I had no idea that Britz (a part of Berlin’s Neukölln neighbourhood) actually has a vineyard, but it does! Half a hectar, 1500 vines; planted in 2002 by Moldavian vintner Viktor Sucksdorf. In 2008, a non-profit association – Britzer Weinkultur – was established to support the vineyard. In 2016, the city of Berlin received the rights to produce and bottle a “Berlin” wine (and the neighbourhood of Neukölln joined the official list of wine-growing regions in Germany!) and non-profit association Agrarbörse Ost e.V. took over the support and marketing of the Britzer vineyard. And in 2017, the first Berlin wine was pressed and bottled. I was told that the vineyard only yields about 800 bottles a year which is not enough to sell the wine commercially in supermarkets (the big retailers require a larger number of bottles per year), so the whole project is basically aiming to cover its costs (and offer a number of jobs to long-term unemployed people as the first step to a re-integration into the labour market) – non-profit in the purest sense! Agrarbörse Ost is a charity association which runs various urban farming projects in Berlin (like the LandschaftsPark Herzberge in Lichtenberg neighbourhood), they also organise social and cultural projects for children and youngsters, run projects like the Tierhof Alt-Marzahn (a traditional working farm with animals – a popular destination for school classes and kindergartners!) or the arts house Kunsthaus Flora in Marzahn-Hellersdorf. You can find more info on their website (German only, but you can always use Google Translate!). 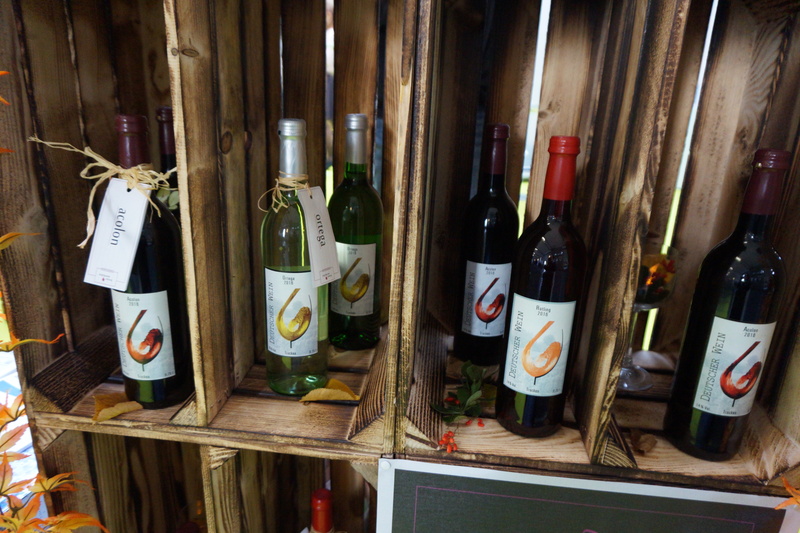 Anyway, Britzer Weinkultur was at Next Organic Gastro Show to present their wine and of course you could sample it, too. I liked it. 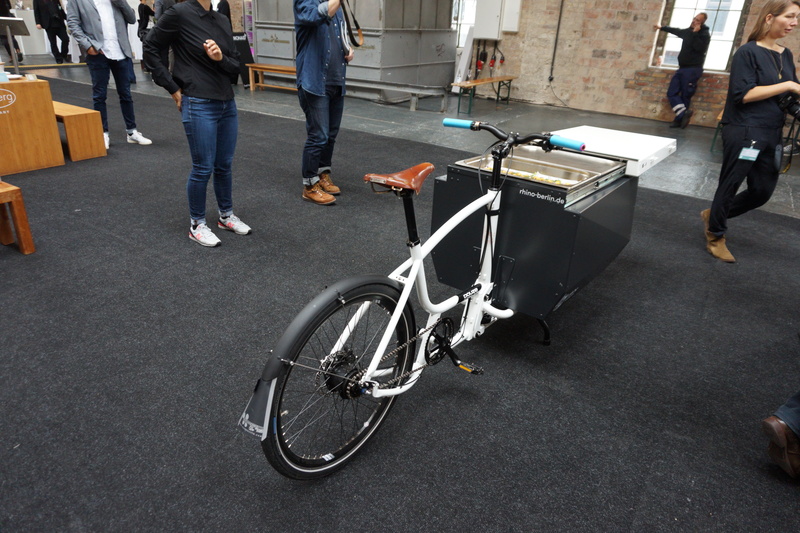 Also at the trade show was social business Fair Food Bike which is described as a “rolling kitchen” that is powered by solar energy and a pair of pedals! It’s a cross between a cargo bike and a tuk-tuk and can be operated by anyone, without a driver’s license. The Fair Food Bike is equipped with kitchen technology (hotplates, insulated food containers etc., plus a little roof for the driver) and can be used as a food transportation vehicle at trade shows, events, festivals or in public spaces – kind of an environmentally-friendly alternative to the uber-popular food trucks that are such a big part of the European restaurant and catering scene at the moment. The Fair Food Bike project was founded by a Berlin-based agency for sustainable design which is also active in the German food start-up scene. They work with a number of partners, including Gebrüder Eggert, two professional cooks, and Benjamin Perry, the founder of Benjamin’s Kitchen. Fair Food Bike is a social business; the project was developed in Windhoek (the capital of the African country of Namibia) and Germany. Fair Food Bike works with a domestic company, SunCycles Namibia – Namibia is very sunny so solar-driven modes of transportation are efficient – in order to help marginalised people in Windhoek to start up their own business. The costs for a Food Bike are very low and you don’t need a driver’s license or any special skills to operate it. Fair Food Bike says that they want their bike to help create new social spaces in crowded urban centers; get people together and allow them to eat, drink and have a chat at street corners, in parks, in courtyards or wherever. And that they believe that this is something that Western European cities, like Berlin, can also profit from. I think I’d have to agree; I’d love to see some Fair Food Bikes in my neighbourhood. 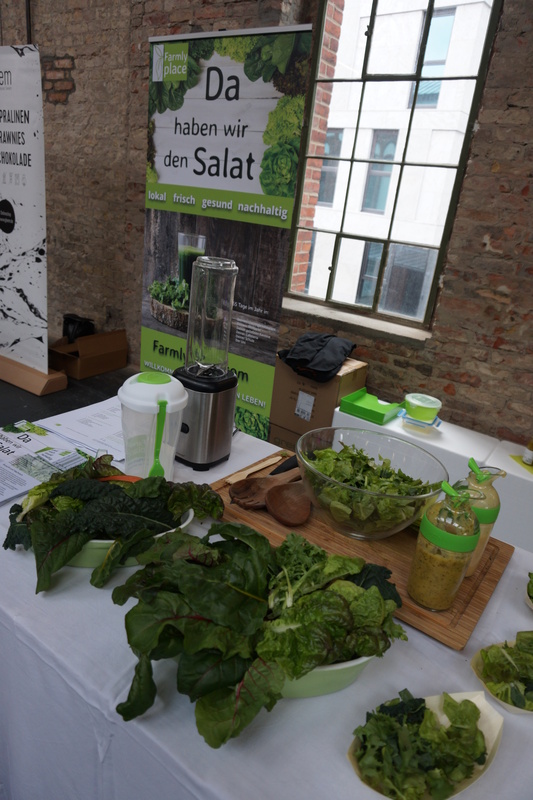 And Farmly Place is a Berlin-based urban farming project which was launched in March 2017. The company offers moveable salad/herb growing containers that can be placed at schools, factory sites, near apartment buildings or parks. The containers are around the size of a construction site container and the interior is modified to provide everything that salad, cabbages or herbs need to grow properly. The growth substrate is contained in the walls and there are movable rails which secure the roots of the seedlings to the substrate. There is also an irrigation system that can be individually adjusted and blended with necessary minerals and trace elements to fertilise the substrate. And the end result is delicious! (They had sample salad mixtures at the trade show, see pic above). Finally, Real Junk Food Project is a UK charity project which aims to educate people about global food waste. In the UK, Real Junk Food Project runs cafés, catering events and other projects that utilise surplus food – whatever is left over in restaurants, fruit and vegetables that can’t be sold in stores; food from food banks and even left-over food from food photographers. You can find more information on their website. There are Real Junk Food Project sister organisations across the world. 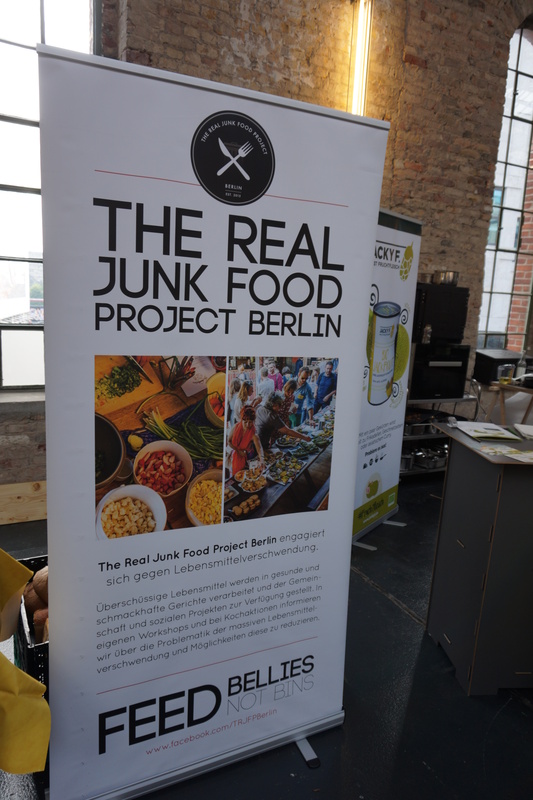 In Germany, the Real Junk Food Project arrived in 2015 and their Berlin chapter was at Next Organic to show what it is that they do. What a cool initiative!